From the 14th to the 16th of February you can see the EURACRYL products on the stand of the company OUPLAN during the PORTUGAL PRINT fair in Lisbon. EURACRYL at the FESPA EURASIA 2018 in Istanbul. From 06 to 09 of December, EURACRYL will be present at the FESPA EURASIA in Istanbul with its new representation from Turkey. The M3 edge polishing machine and the V3 chamfering machine will be exhibited as examples of the extensive range of machines that EURACRYL already has. Edge polishing machine EURACRYL ABP310 CNC on the FMB 2018. The company Delta Electronics Netherlands BV presents the EURACRYL ABP310 CNC edge polishing machine during the FMB 2018 with special attention to the electrical concept as well as the unique software solution. OPEN HOUSE at OUPLAN in Portugal. From October 10th to 11th an OPEN HOUSE will take place at our representative in Portugal. Products from OUPLAN and EURACRYL will be presented, including the EURACRYL M3 edge polishing machine and tools for processing transparent plastics in CNC milling machines. Address: CNEMA (Centro Nacional De Exposicoes E Mercados Agricola) in Santarem, Portugal. 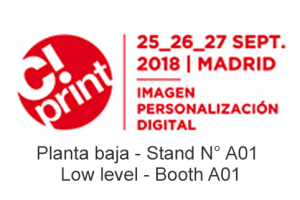 EURACRYL at the C!PRINT 2018 in Madrid. From 25 to 27 September, EURACRYL will present new machines for the processing of transparent plastics at the C!PRINT in Madrid. The models will be determined according to the demands of customers in Spain and Portugal. For the first time in Spain, the new system of interchangeable diamond cutters EURACRYL EL (easy lock) for edge polishers will be presented, which will replace the current EURACRYL ES system after almost two decades of success. 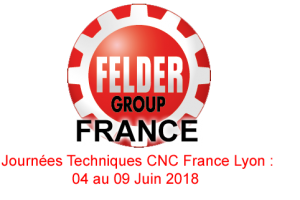 From 04 to 09 June, EURACRYL will present its edge polishing machines at the facilities of FELDER FRANCE in Lyon as part of the Journées Techniques CNC France Lyon. This event will mark the beginning of the new distribution line through FELDER GROUP in France among other countries. 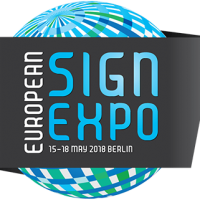 Presentation of new products at the EUROPEAN SIGN EXPO in Berlin. From 15 to 18 May, EURACRYL will be presenting new machines for the processing of transparent plastics at the EUROPEAN SIGN EXPO (FESPA) in Berlin. These include the CNC-controlled large format polishing machine ABP310 CNC, the tilting chamfering machine V3, the vertical polishing machine A20 and A70 and 3 laser cutting machines. Additional will be presented for the first time the new EURACRYL EL (Easy Lock) milling / polishing system with quick changeable diamond teeth for edge polishing machines, which will replace the previous EURACRYL ES system after almost two successful decades.